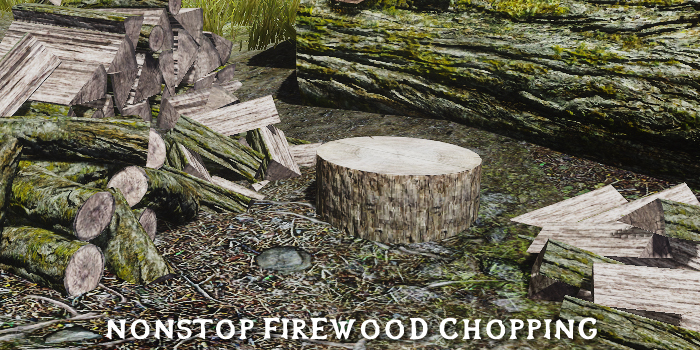 The player will keep chopping firewood until interrupted, instead of stopping after 6 pieces. If this seems overpowered I recommend Chop To Max Carry Weight, which I use currently. Stop Talking To Yourself, Bandit!